The significance of the American Indian in the United States cannot be underrated. The history has left many descendants with little information of their past and no way to track their ancestry. With 600 recognized tribes in North America, it’s hard to believe that much of the old history exists only in word and legend passed down from elders. 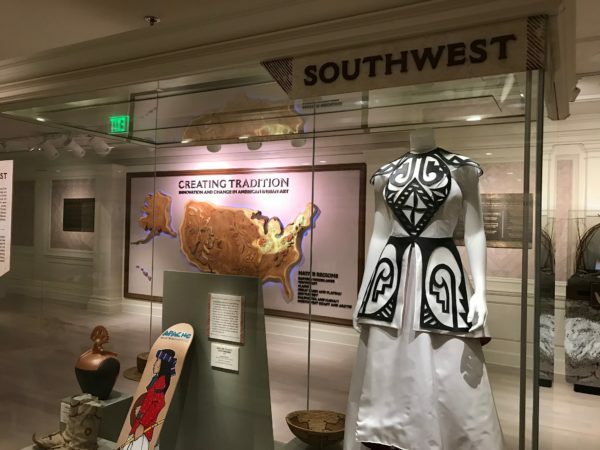 Fortunately, some very special artifacts have been saved and preserved in museums like the Smithsonian’s National Museum of the American Indian in Washington, D.C. and the Museum of Indian Arts and Culture in Santa Fe, New Mexico. The exhibit features art from various areas of the country. 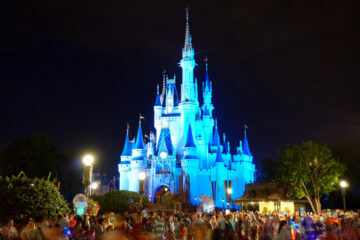 Now, in collaboration with two museums, Disney has created an exhibit honoring the history of the American Indian. 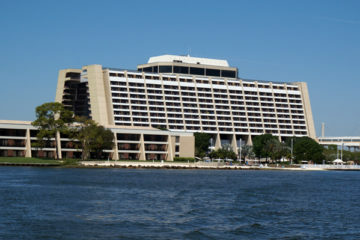 Creating Tradition is a new exhibit at Epcot featuring American Indian art. 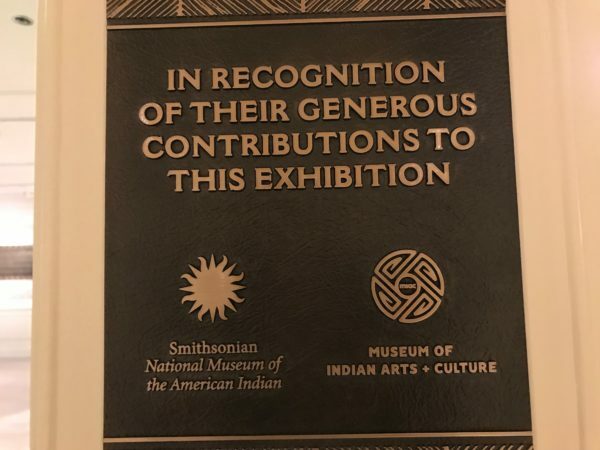 The exhibit is in cooperation with the Smithsonian and the Museum of Indian Arts and Culture. 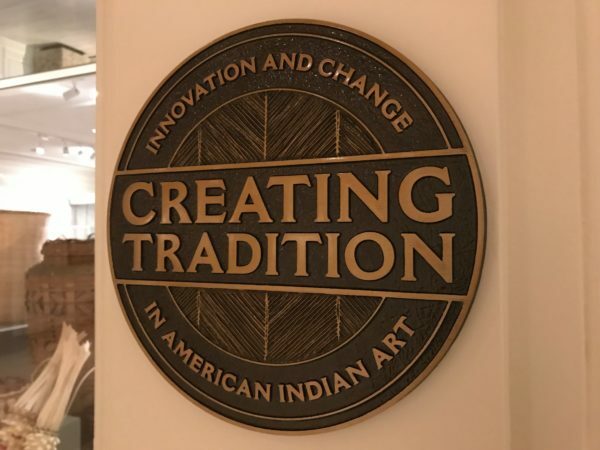 Creating Tradition: Innovation and Change in American Indian Art opened in July 2018 and celebrates American Indian history and culture through 89 pieces of art and three interactive video exhibits from 40 different tribes across seven different regions. The art includes everything from contemporary artistry to centuries old artifacts. 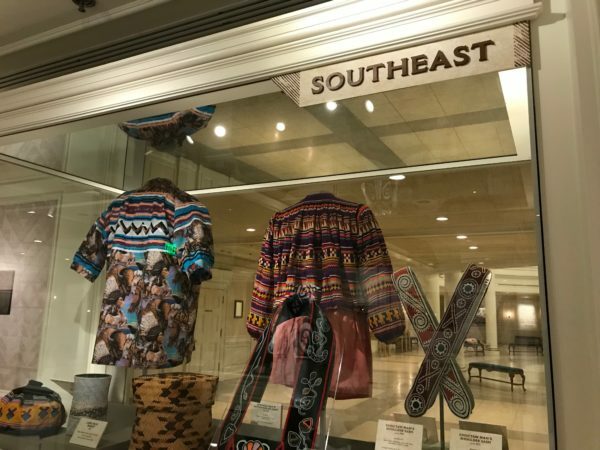 The pieces include beadwork, basket weaving, jewelry, clothing, and even a skateboard, and they put on display the diversity among tribes. Exhibit of Southeast Indian art. 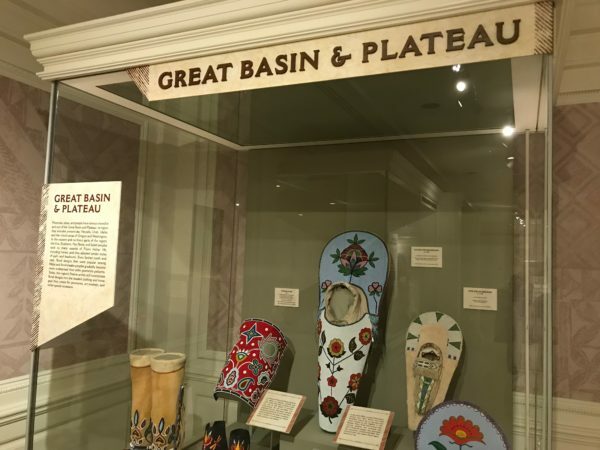 Exhibit of Great Basin and Plateau Indian art. 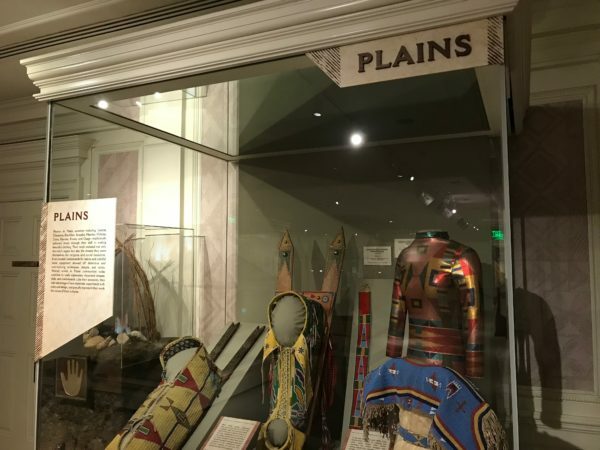 Exhibit of Plains Indian art. 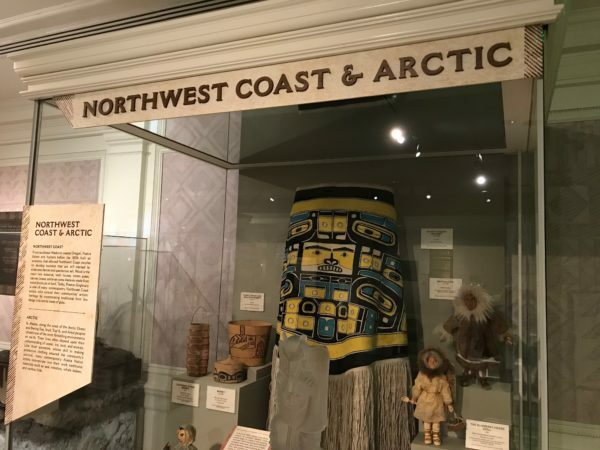 Exhibit of Northwest Coast & Arctic Indian art. 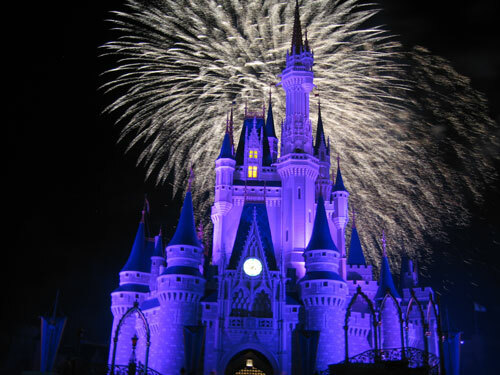 The three interactive video exhibits are also really cool! 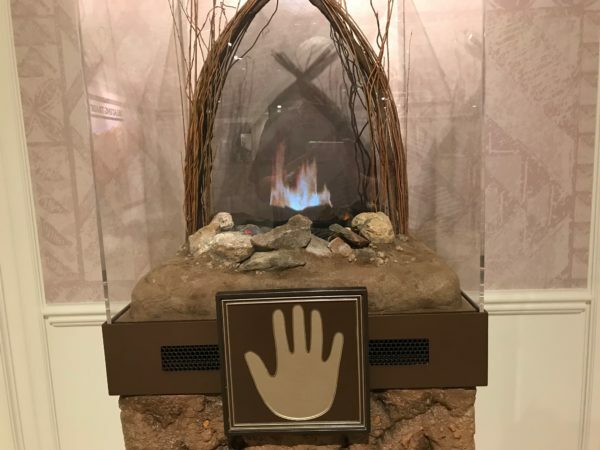 They resemble campfires, and American Indian artists share perspectives on their work and culture through video and music. 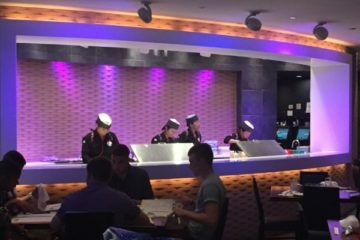 The video exhibits look like campfires. 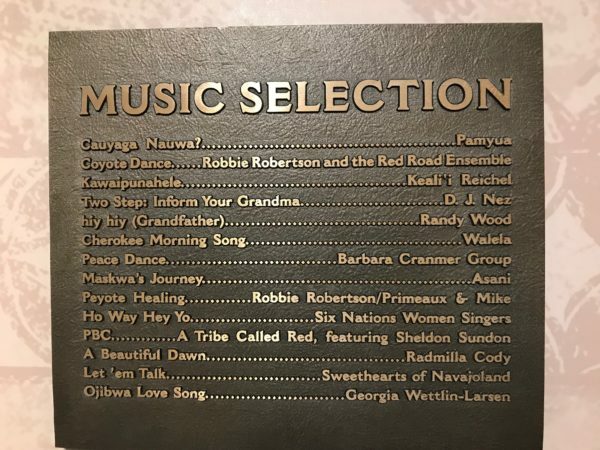 Music selections featured in the exhibit area. 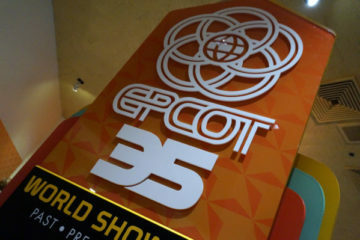 You can see this installation in the American Adventure Pavilion’s American Heritage Gallery. 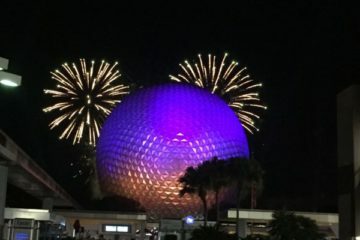 World Showcase prides itself in sharing essential elements of each culture that it honors, and this is very much a vital part of the culture in the United States! 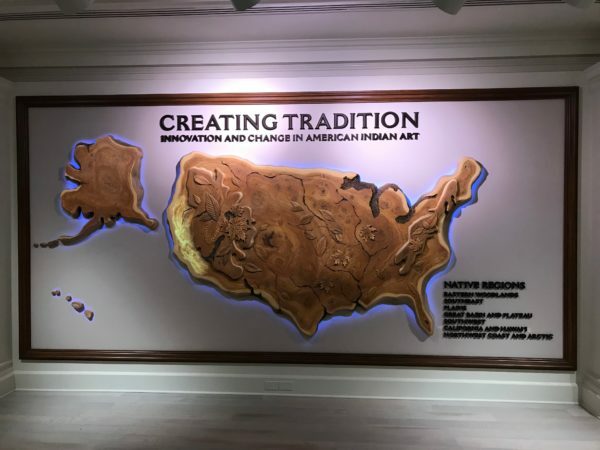 Creating Tradition exhibit in The American Adventure: interested?